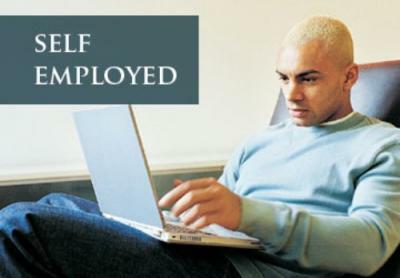 Many people dream of being self employed. Although it may be harder than working for a business, at least you’re not working for the man, and whatever money you make is yours to invest back in your business or to spend as you please. Also, did you know that most millionaires are self employed? That’s right, you have as much or more potential to get rich if you are in business for yourself. With that said, there is also a lot more responsibility in owning your own business. You have to take care of accounting, taxes, sales, marketing, human resources and so on, at least until you’re big enough to hire people to help. We’ve thought about what it takes to be self employed and have come up with some different ideas for self employment. We’ll break them into to four categories. Online Business – There are many businesses that you can run with very little startup capital. Online businesses fit into that category. For example, if you want to start your own ebay store that uses drop shipping to deliver the goods, there would be no inventory costs and the costs of setting up your ebay store only include your time. If you wanted to create a website that sells something, the costs would be higher, as you may need to hold some inventory (depending on your business model). However, it is nothing compared to opening a full fledged retail store. Other online businesses include newsletters, blogs and selling your services through freelance websites. Services Business – If you can provide services that are in demand, you can become self employed by starting your own services business. Some of the more simple service businesses include lawn mowing or snow removal. There may be some investment, as you’d need to buy a lawnmower, blower and trimmer or a snow plow and snow blower, however, the cost of capital is still pretty low and a business like this is a good way to become self employed. Other businesses that fit this category are pool cleaning, debris removal, light landscaping, gardener, mover and almost any other business that offers services that don’t require much capital. Plumber or Electrician – Most plumbers, electricians and other tradesmen are self employed. The cost of starting your own skilled trade business is a little more substantial, as you’ll need training and often certifications to develop and license your skills. Also, trades like these can require investment in tools and advertising to help find clients. Restaurants – Besides the chain restaurants, most local and family restaurants are owned by self employed individuals. However, these businesses require a lot of capital to start. Besides finding a location and buying or leasing a building, you’ll have to buy thousands of dollars worth of cooking equipment, tables, chairs, dishes and decor. Depending on the location and style, these costs can run into the hundreds of thousands, and are almost always higher than initially expected, which is a big reason that more than half of new restaurants close within two years. Pubs and Taverns – Starting a bar sounds pretty easy and could make for a good self employed business. However, there is also a lot of capital that goes into these operations. You’ll need to design, buy and build a bar, get bar stools, find and buy your decor and stock your bar. If you want to serve food you will also need to buy and maintain a small kitchen area. You’ll also have to have money to pay for bartenders, security and cleaning. Retail Store – Another idea on how to become self employed is to open a retail store. To do this, you’ll need to buy or lease your location and then invest in the product you want to sell, as well as systems to control your inventory, cash registers and the decor. It requires a big investment and there will be ongoing advertising costs, but once the initial cost is covered, the ongoing expenses are more manageable. Franchises – Franchises are a great idea for self employment. They are typically tried and tested businesses that have been successful elsewhere. They also include all the systems, equipment and training on how to get the business up and running. And many franchises even offer financing to help you get started. It costs less to open a franchise, but you also have to share the profits with the parent company. Through a business broker – Entire businesses can be bought directly from the owner. It is difficult to find or know which companies are for sale. A business broker can help. It is their business to find and help sell existing businesses. When businesses want to sell they often contact business brokers. If there is a certain type of business you are looking to buy, let a few brokers know and they can either proactively look for you or let you know when they run across such a company. Finding a business need that is not being addressed in your local area or online is probably the most profitable idea to become self employed. There are great businesses started every day that fit this category, and new niches are developing every day. If you are selling something that people really need, and there is not much competition yet, then you have a very high chance to succeed. A good example of a niche business is photo and video conversion. Companies have emerged over the past few years that utilize new technology to convert all older formats of photos and videos (VCR, 8MM, etc.) into easy to access DVDs that can be stored and shared very easily. The ideas for this type of business are unlimited and it takes a lot of creativity to find a profitable niche. Me and hubby really wanted to retire early and enjoy time together but before we could do this. We need to have a good savings for our retirement and for our kids. This will keep us on going up with our plans.